Replicas used as training devices represent a unique and demanding area of specialty model making. These are replicas of real hardware that are used for practical tasks such as training, handling, demonstrating, and educating. In its history, Guard-Lee has been tasked by multiple organizations to make full size replicas that function as hands-on trainers and simulators. Such replicas have definitive missions and reside in special places where they are used as tools in training environments. Full Scale Space Shuttle Nose Sections: These pieces are full scale, climb-in replicas of the Space Shuttle Orbiters. 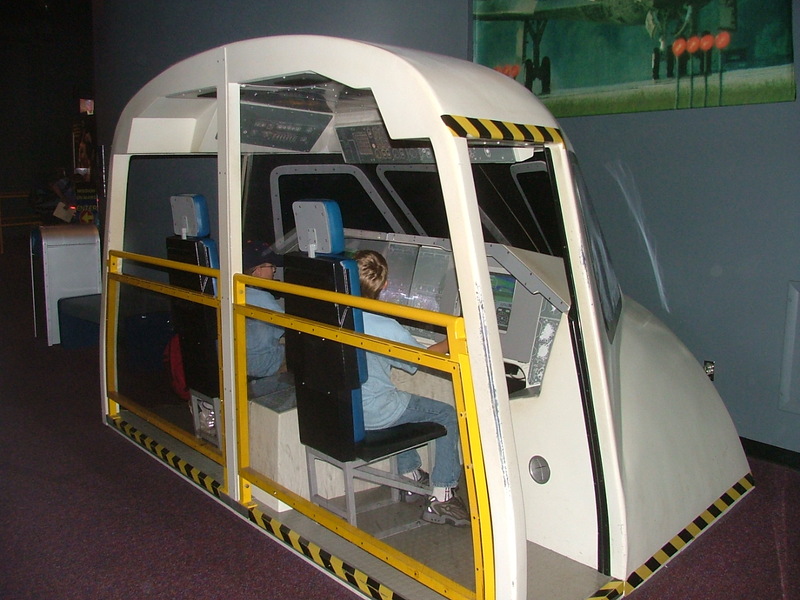 Outfitted with the Middeck Crew cabin and the Flight Deck cabin above, these units have been used in camp-style and team-building educational and training scenarios where simulated Shuttle Missions are “flown” using special computer applications and software. 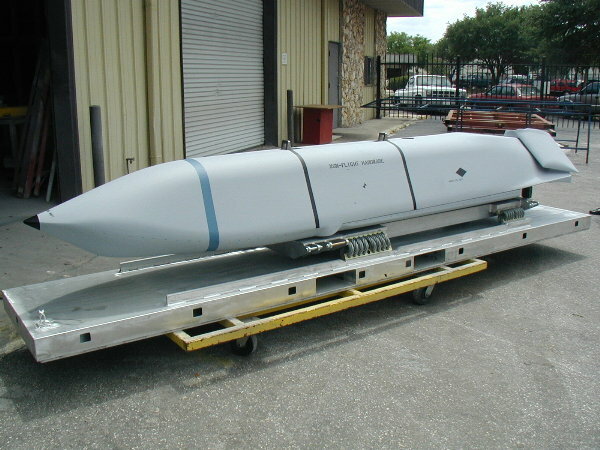 Weight-and-CG Cruise Missile Replicas: Missile replicas that are built to the correct weight and center of gravity allow users to get active, hands-on training for transporting, unloading, handling, and uploading weapons. These replicas are built to the same physical standards as the real pieces, and thus look, feel, and handle the same way that the real pieces do. Use of such replicas allows intense training to be done without risking expensive and sensitive munitions in the process. Space Shuttle EMU Spacesuit Demonstrators: Guard-Lee produces space suit replicas in several forms; one of these forms is a Demonstrator form, a suit that can be used by a museum docent or event communicator to actively demonstrate how an astronaut puts on a spacesuit. 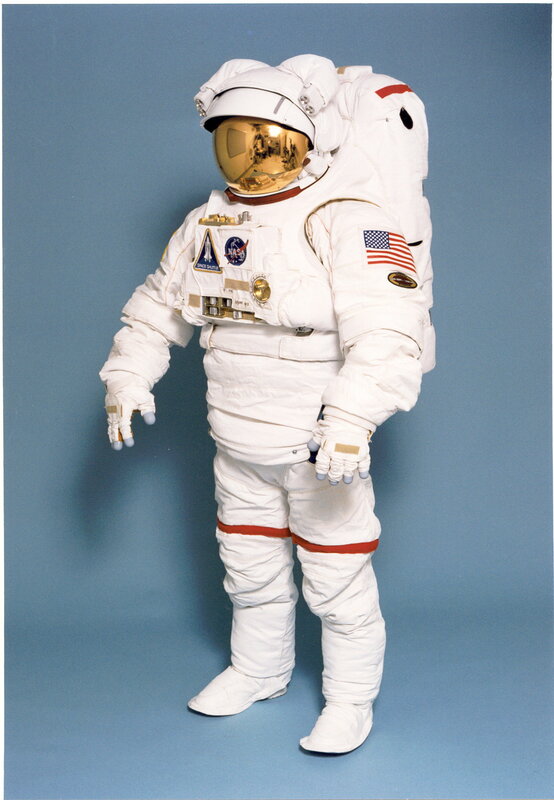 Such a suit can be put on in realistic sequence for temporary wear by either the docent or by a selected volunteer, making this type of space suit a truly educational and interactive experience. 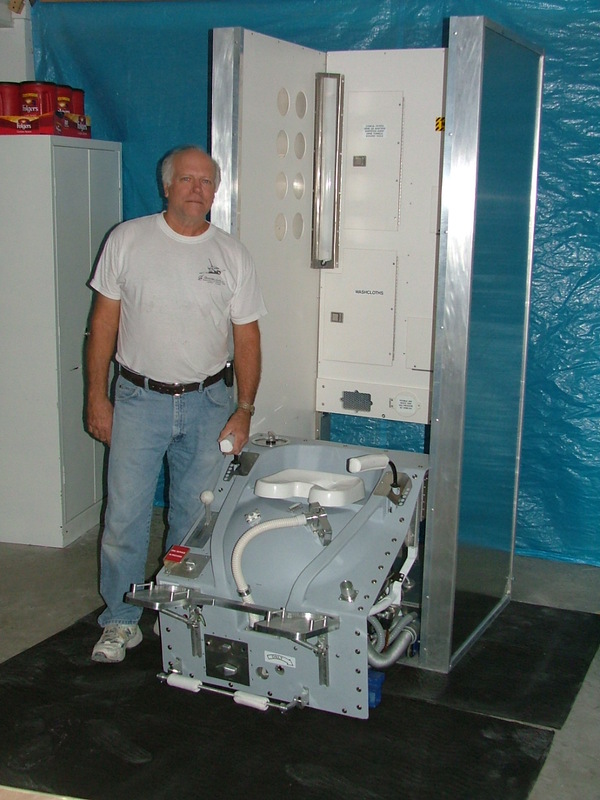 Space Shuttle Toilet Demonstration Unit: This is a simulated Space Shuttle WMS (Waste Management System) stand-alone powered unit that can be used in presentations by a museum docent to explain how the astronauts used the bathroom on board the Shuttle. One of these units is in use at the NASM’s Moving Beyond Earth exhibit in Washington, D.C.